And I sheepishly admit that is not all of them. With the arrival of autumn, I seem to have given myself permission to indulge in steamy hot lattes more than just occasionally. I have been a dedicated coffee drinker for years. I blame the coffee shop where I worked part-time, and every week they sent me home with a pound of coffee beans. I had a coffee cabinet. When you opened the door, you’d get a caffeine buzz just by breathing in the air that escaped that cabinet. Tokyo’s cafe culture, with its adorable latte art and impeccable dessert menus, has proven irresistible. It is dangerous to be so caffeinated with a sewing needle in-hand. My kanji-writing practice has certainly suffered. Maybe it is time I consider drinking some tea. 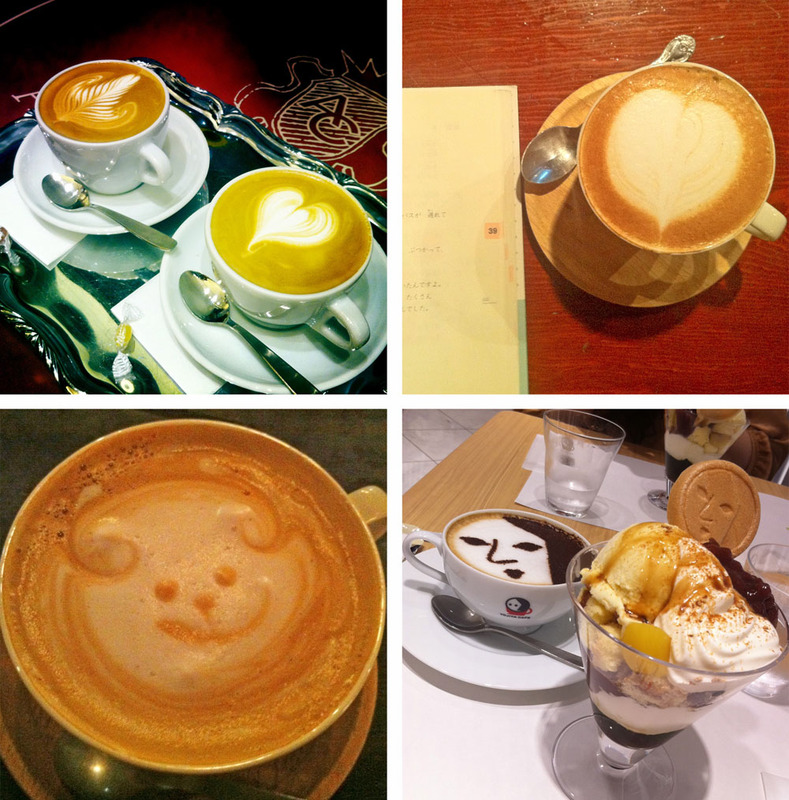 This entry was posted in Food and tagged cafe, cafe au lait, coffee, latte art, Tokyo. Bookmark the permalink. WOW that Yojiya coffee design is AMAZING! You definitely don’t see that everyday!